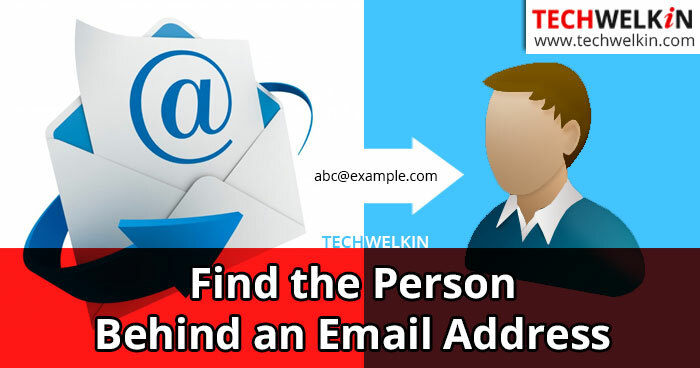 Learn how to find a person behind an email address. You can easily locate the email id owner with these methods. In most cases one of these methods will work and give you some information about the email address owner. Every day we receive many emails — personal, official and, of course, a lot of spam emails. Most of the time the sender is a known source. But at times we also receive emails from an unknown source. We do get curious to locate the person behind the email address. However, not many people know the method to trace the such details. In fact there are many simple methods that you can follow to locate the email owner. It will help you decide, if the mail is spam or genuine. This article will list out some of the methods to find a person by email id and the relevant details of each. Whenever we need to find any kind of details, the first thing that comes to mind is “let’s Google it”. This includes finding the details of a person by email as well. What if the email sender has no public profile on any of the social or professional networking site? Still, there are several online services that can help you trace the person behind an email address. As mentioned above, you can always search for the person’s details on Google. If the person you are looking for has a public profile on any of the popular social or professional networking site, you will be able to trace the details required. Alternatively you can type the email address and perform a search. If the person has a blog or commented on any of the sites, forums etc. then also probably you will be able to trace the identity of the person. Happy Googling! Trace Mail is a free online tool that helps you trace the IP address of the email sender. Besides the IP address, this tool also locates geo-location details, map and WHOIS details. You can open the email and look for the header details. The option for getting the header information will depend on the webmail services that you are using. Open the message you want to view. Click the down arrow next to the Reply link. Go to Trace Mail, scroll down to Trace Email Analyzer. Paste the copied content in the Analyzer box and click Get Source. Scroll down to view the Analysis report. The analysis displays the source, Geo location information and Map and the Whois. Select the email in the Navigation pane > right-click to display the pop-up menu and select Message Options. In the Message Options dialog, the email header details are displayed at the bottom in the Internet Headers. Copy the content to clipboard and follow steps 4 and 5 mentioned above. The Reverse Address Search tool is a free service and provides two options to search from- Reverse Lookup an E-mail Address and Reverse a Mailing Address. A Reverse Lookup an E-mail Address is a search performed using an email address. It is used when you know the email address, but want to find the owner’s name or perhaps additional contact information. A Reverse a Mailing Address search helps you locate a name associated with a home or any other property. You can type the street address and perform a search. The result displays all the possible matches. If you are a Facebook user, you can perform the Reverse Email Search. The option helps you search through the Facebook database on the basis of a person’s email address. Being one of the largest social media and with almost everybody having an account, the probability of locating the person behind an email is high. Just go ahead and find out the person you are looking for! You can also try one of the many people search services available online. Popular ones are Pipl and Spokeo that help you find a match for the email address that you want to trace. These services use complex searching algorithms that extract a lot of information. However, some of these services are available only to subscribers. You can also perform a search on any of the popular social and professional media sites. In most cases, an email address will also have a matching face on an online social or professional platform. You can also use the tool Knowem to check for usernames. It lets you search usernames instantly on all the popular social media sites. Knowem provides both free profiles and paid premium services. 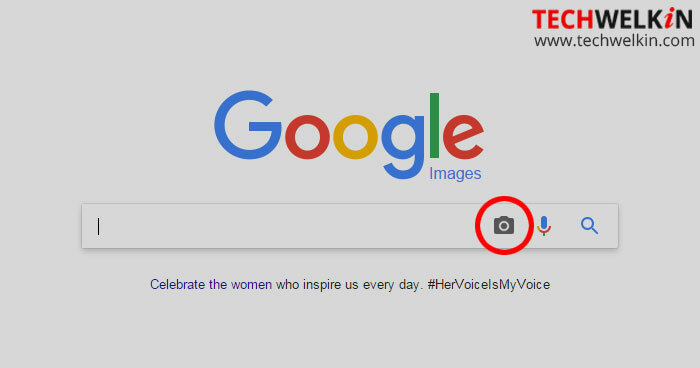 Go to the Images section in Google Search. On the right side of the search field click the camera icon to upload the picture and click the Search icon. If the person is real, the picture will show up in one of the social or professional media sites. In the internet age nothing is too difficult to locate or search for nor can there be complete anonymity. With little effort any person’s details can be traced, provided those details are publicly available. An email address is often used as an online identity of a person. So, in most cases, it is easy to find the person’s details behind an email address. Nice and informative article sir Lalit Kumar . i like your effort and thanx for sharing information to us. Good info Lalit Kumar. Useful for dummies like me new to the net. Sometimes I shudder at what comes down the line!! !